Ulrich is afraid of heights… but he’s never dared admit it to his friends. 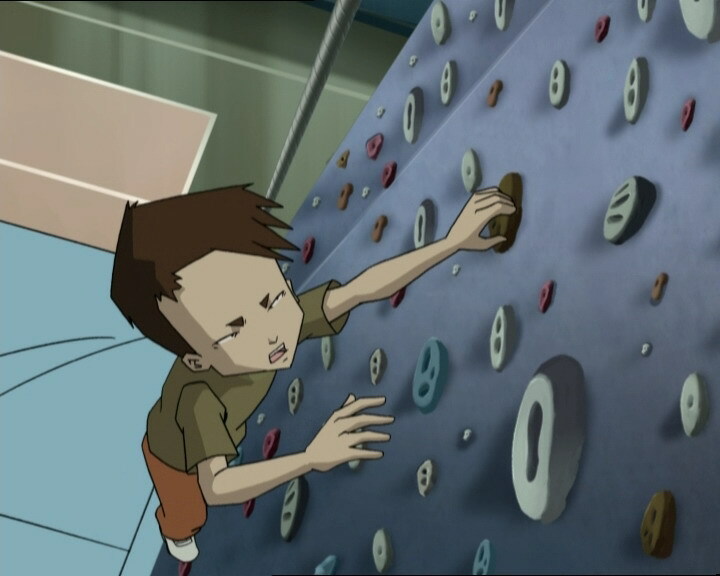 Until one day in gym class, he has to race William up the climbing wall and is humiliated by him in front of Yumi. Crestfallen, he goes off to brood in the woods. Yumi and Odd set off to find him and cheer him up… and that’s when X.A.N.A. decides to attack. It sends a pack of wolves to wipe out our heroes! 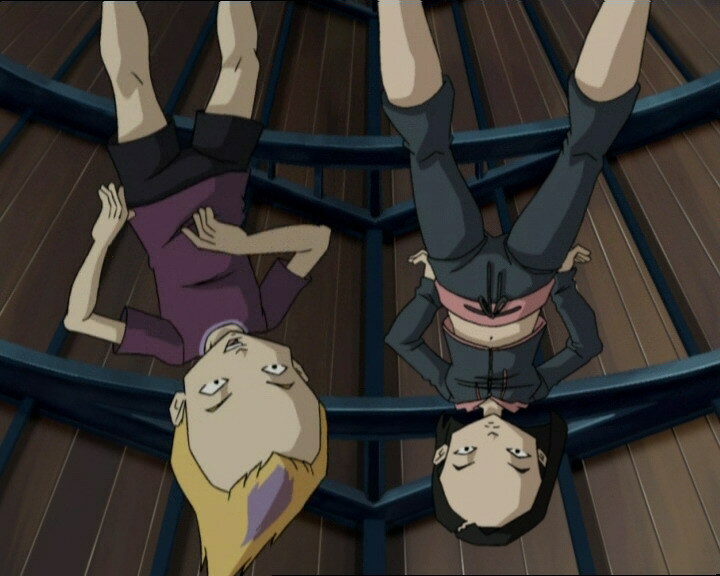 Jeremy and Aelita must act fast on Lyoko! 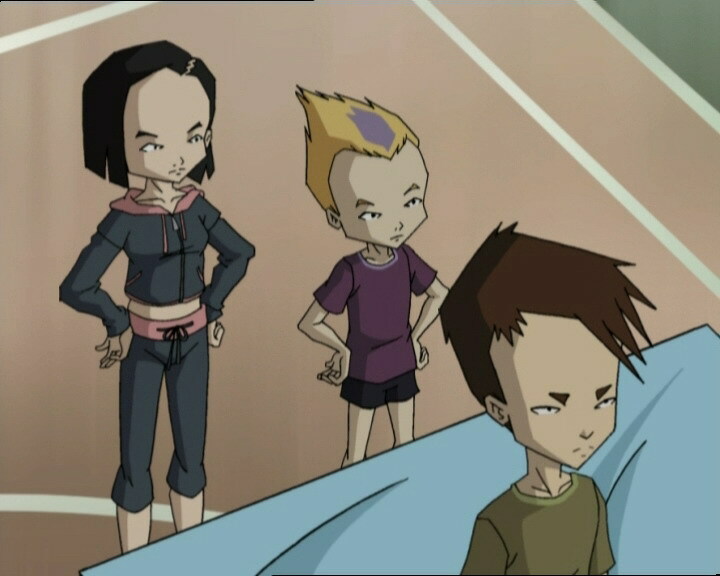 Suddenly, a problem appears: Aelita’s body starts to disappear, becoming completely invisible. 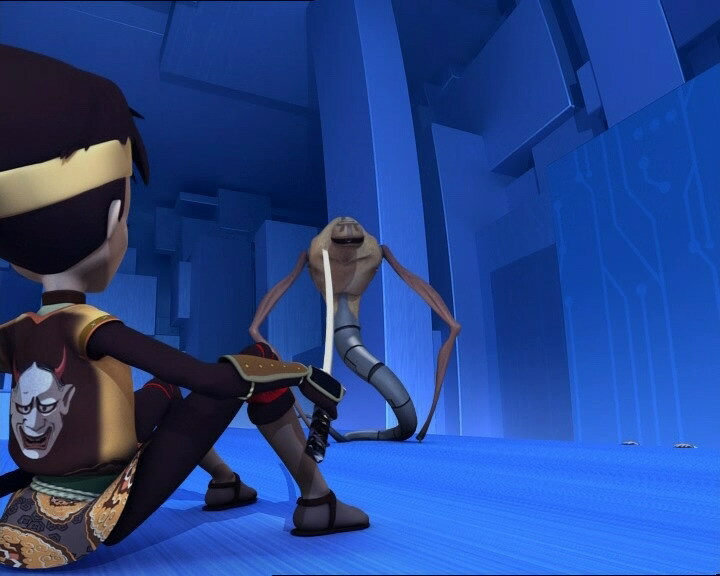 Jeremy supposes his antivirus has a defect in it that puts Aelita in danger. The two kids go back to the factory, and to make matters worse, XANA wakes up at just the wrong time: a tower is activated! In the park, the trio prepares to go to the factory with Ulrich, however a pack of wolves moves to stand right in front of them, seemingly not liking the idea… The eye of XANA gleaming in their eyes, the animals bare their teeth and the unarmed heroes flee with their hearts in their throats. 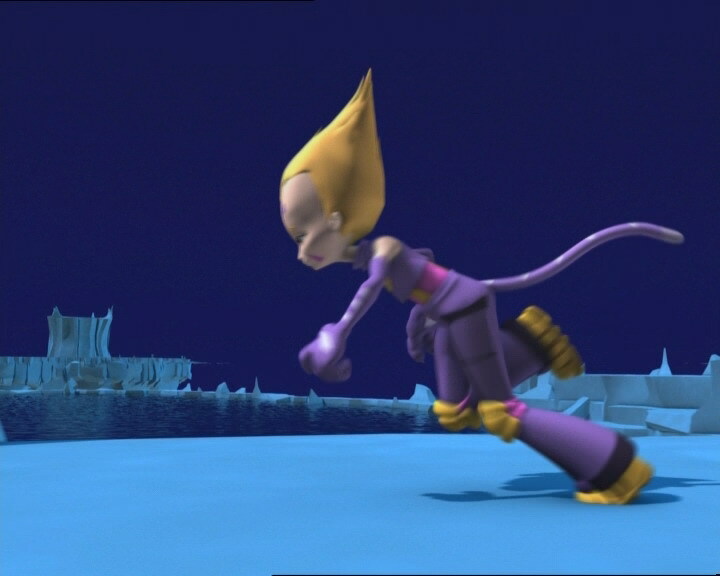 Aelita then makes the choice to go to Lyoko alone in order to save her friends. The race leads the teens to a cliff face which requires Ulrich to overcome his phobia in order to climb. The acrophobic arrives at the top, but more wolves are waiting for them, teeth bared. 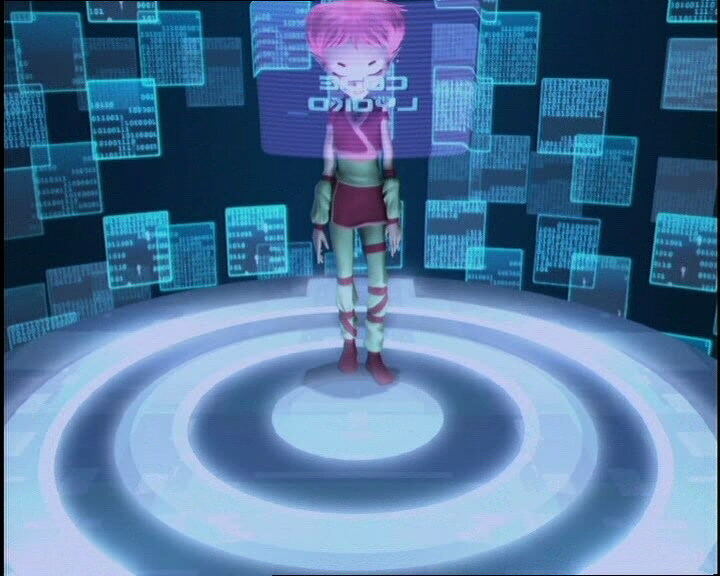 Aelita reaches the tower very easily but can’t enter it because of the bugged antivirus Jeremy implanted in her. The blond strives to erase it! The students resort to using their fists against the wolves and realise that they’re just illusions created by XANA. The majority of wolves disappear at the slightest touch but three of them remain real, more aggressive than ever. 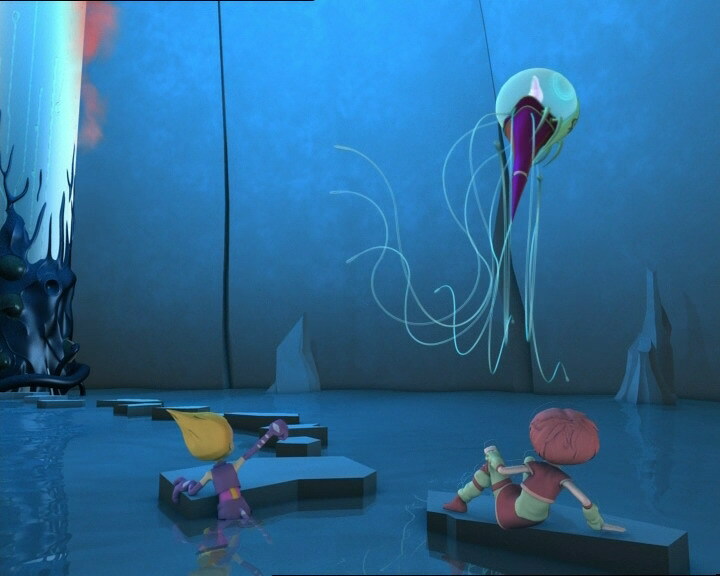 The Scyphozoa frees itself and grabs Aelita but Odd arrives and saves her in time. 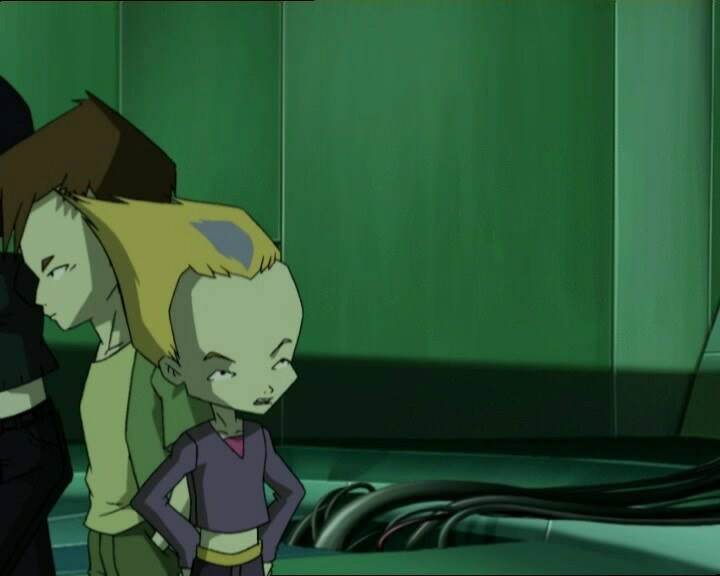 At the same time, Jeremy succeeds in deactivating his antivirus that he implanted in Aelita. She can now enter and deactivate the tower, saving Ulrich from an atrocious death. Jeremy launches a Return to the Past to save his friend from the danger. - Attack: Take control of a pack of wolves and create illusions of more of them, and release them on the heroes in the forest. - Return to the past to heal Ulrich’s injuries and send the wolves back where they came from. 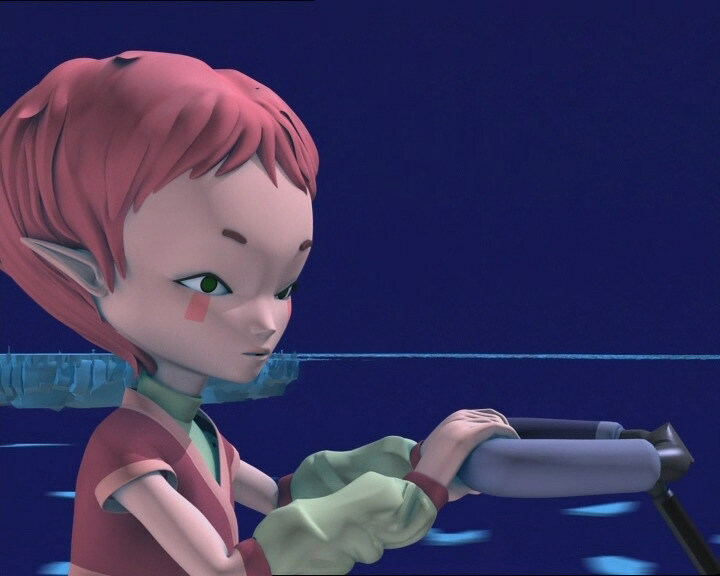 - Jeremy thinks he’s found Aelita’s antivirus, but implanting it in her creates degeneration in the girl who becomes invisible and unable to deactivate towers. Jeremy manages to get rid of it in the end! - Discovery of the XANAfied wolves. - Discovery of William’s sport clothes. - Discovery of the climbing wall in the gym. - Discovery of the Manta’s flying mines. - Discovery of Yumi’s ringtone. - First episode in which Odd destroys a Megatank by impaling the Overboard in its eye! 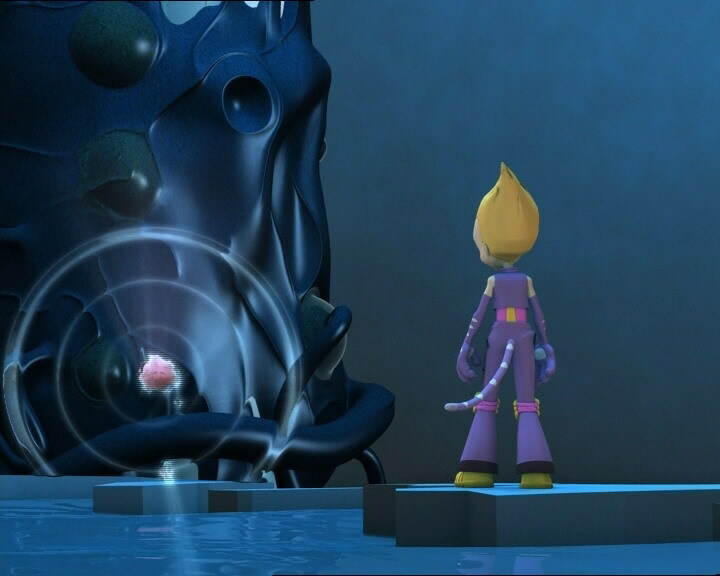 - First time Aelita uses her Creativity against the Scyphozoa to trap it in a cube of ice! - Second time Creeper isn’t destroyed in only one hit. - Third use of Odd’s joke “Say something!” “Something…” by Aelita this time. - Just after Odd is shot back towards the wall with the key by a Creeper, he’s seen fighting with the others where he was standing before he got shot. - When Yumi says “not so fast, dummy” and throws her fan at the Creeper, she’s pictured at the door to the Celestial Dome, when she’s still inside the labyrinth. The opposite happens when a Creeper shoots at Ulrich in the Celestial Dome and it’s pictured in the labyrinth. 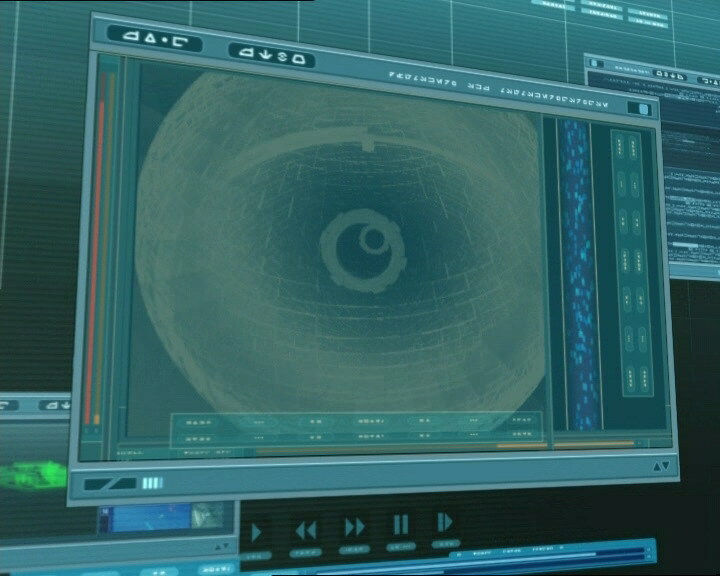 - Odd’s undershirt is missing from his torso when he asks Ulrich to come watch him climb, and when Yumi says they have to find Ulrich before they shut down the Supercomputer. - The doors in the dorms change colour often (black, dark brown). - The factory microphone disappears from Jeremy’s ear though he didn’t remove it before going down to the scanner room. - When Ulrich is pushed by one of the wolves, he drops his phone, but it’s not his we see but Jeremy’s. - At the moment when Aelita says she’s turned invisible, the desk in Jeremy’s room is covered in stuff when it wasn’t before. - Before confronting the wolves, Ulrich picks up a stick at his feet which wasn’t there when the heroes arrived at the foot of the cliff before. 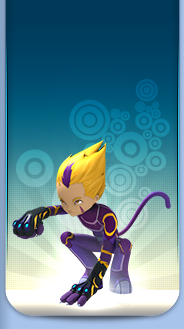 - The colours of Odd’s pants are inversed when he climbs the cliff after Yumi. - The form of attack is similar to the ones in episodes 11 “Plagued,” 12 “Swarming Attack,” 58 “The Pretender,” and 74 “I’d Rather Not Talk About It”. - First appearance of a Creeper in the Celestial Dome. - First time Odd is called scrawny, which will happen often in future. - There’s water you can swim in in the Ice Sector! - Odd (at the top of the climbing wall): "I’m the king of the world!" This line comes from the highly successful movie “Titanic” directed by James Cameron. It’s shouted by one of the two main characters, Jack, when he’s at the bow of the cruise ship, gliding across the ocean! The Fantastic 4 are humans who, after a stellar expedition that went wrong, underwent changes and gained superpowers! Susan can turn invisible and create force fields. Odd: Creepers! They just can’t stay away from us! Jeremy: Remember guys, the clock is running! Ulrich (seeing the key on the wall): That’s a job for a cat! Odd: At least come and watch me! Yumi: Come on, Ulrich! For once Odd’s found a sport where being scrawny is a plus! Odd: Hey, I am not scrawny! Nah, I’m svelte! It’s not the same! Odd: You should’ve left your zits down there huh, Herb? Jim: Come on Stern, show us what you got. Get up that wall, hurry up! Odd (jumping down from the wall): Hey man, humiliate this guy and let’s go eat! Odd (grabbing Yumi by the elbow): Let him chill out a while! Give him time to get over it! 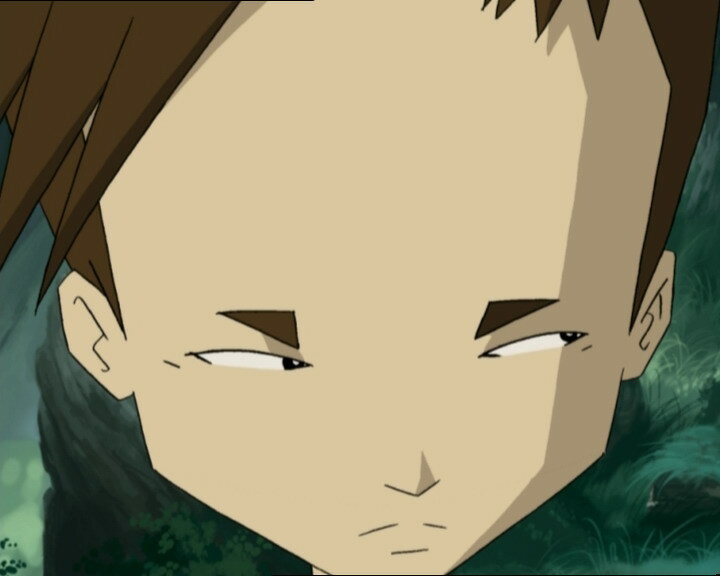 Jeremy: Aelita, how do you feel? Say something! Jeremy: Haha! If you can make jokes as bad as Odd, you must be ok! Odd: Ulrich? Maybe he went to the factory to mope! Odd: Off somewhere hiding! I mean, sulking! Sissi: Oh, Aelita! I didn’t even see you standing there! But that’s hardly surprising, you’re such a wallflower! How can you expect a guy to notice you someday? I’m not talking about Jeremy, of course, he’s already married to a computer chip! I mean a real guy, you know? Look at me, for instance: I’m really pretty, and attractive, but that’s not all, I’m also funny, intelligent, sweet, and…very attentive to others! Sissi: Huh? Just what I was saying! She’s so unremarkable that you don’t even realise that she’s gone! Odd: Uh-oh, what’s that? A nice little doggie, I hope! Odd: Uh…w-when you’re faced with a pack of wolves, what do you do? Yumi (to Ulrich who had been bitten): Your foot ok? Odd: Good thing you weren’t wearing sandals! Odd: Oh, great…a flying wolf! Odd: This is when the kind hunters usually come to the rescue, right? Ulrich: Go on, I said, ok? I may have vertigo, but I can handle a few flea-bitten mongrels! Odd: You mean 1, 2 and go, or do you mean 1, 2, 3 and go? Odd (talking to the Scyphozoa): Oh, no! they’ve got guard dogs! William: You chicken? You got vertigo or what? Ulrich: Yeah, what about it? No worse than being afraid of spiders! William: Hey, how did you know that? Ulrich: I have my spies! Ulrich: Anyway, see you around, Spider-Man! Odd: So, Aelita, what’s it like being invisible? I always wanted to be like, you know, Sue in the Fantastic 4!